Synkoloid Company is a New Jersey-based manufacturer of paints, varnishes, adhesives and asphalts. The company developed an extensive line of products between 1949 and 1976 that contained high levels of asbestos. Artra Group acquired Synkoloid Company in 1975 and became responsible for Synkoloid’s lawsuits, beginning with those filed in 1962. By the end of 2000, Artra had been a defendant in 46,000 lawsuits involving Synkoloid products. 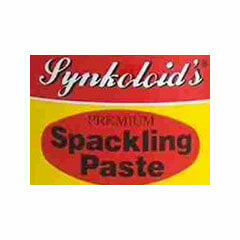 In 1981, Muralo Company, Inc. purchased the majority of assets of the Synkoloid Company and agreed to take on any future claims against Synkoloid. However, it refused to take responsibility for any products manufactured before 1981. Because Muralo did not use asbestos in any products, the asbestos lawsuits still fell to Artra. Artra continued to take on the suits until it filed for bankruptcy protection in 2002. At this point, plaintiffs had no choice but to include Muralo in their cases. Because of its small size, Muralo was unable to defend itself against the flow of lawsuits and filed for bankruptcy protection in 2003. By then, the company had been named as a defendant in over 60,000 asbestos-related lawsuits stemming from Synkoloid products. Both Artra and Muralo reorganized in 2007. As part of a settlement between the two companies, Muralo’s insurers contributed $2.5 million to the Artra Asbestos Trust, which works to settle all asbestos lawsuits against the Synkoloid Company. The Synkoloid Company remains an active division of Muralo Company, Inc. Exposed to Asbestos at Synkoloid Company? In 2002, John Henry Pace filed a lawsuit against Synkoloid for damages after being diagnosed with asbestosis. Pace was a self-employed contractor throughout the 1960s and early 1970s. During this time, he often used the company’s asbestos-containing product line, specifically Synkoloid Triple Duty Joint Compound. Synkoloid began making the asbestos-containing joint compound in 1949, and in 1969, a supplier informed the company of the deadly health effects of asbestos. Despite the new information, Synkoloid continued manufacturing the product with asbestos until 1975. Pace won his case and was awarded more than $2 million for medical expenses and mental and physical suffering. People exposed to Synkoloid’s asbestos-containing products aren’t the only ones filing lawsuits. One recent suit came directly from the Artra Asbestos Trust. On September 28, 2011, the trust filed a lawsuit against Transport Insurance Company. Artra claimed that Transport breached an insurance policy issued by Transport’s predecessor in 1984. The policy for excessive liability insurance was meant to provide additional coverage beyond the limits of the original liability insurance policy. The Artra Asbestos Trust wanted to access the $2.5 million policy to pay claims for asbestos-related lawsuits, and Transport denied liability. The case is still ongoing and the court has not released a verdict. Synkoloid actively marketed its products to painting contractors, carpenters, drywall finishers and plasterers. Because of this targeting, those in the construction industry used the company’s products most frequently. Products included spackling paste, patching material and joint compound, all of which contained asbestos prior to the mid-1970s. The company stopped using asbestos in its products in 1975, but older homes and buildings may still hold asbestos-containing Synkoloid products.